Chavanga Fish Blog: Another way to fish salmon. Russian recepture. We already said earlier that very large fishes to 12 kg every year come across. The record has been put some years ago in 2008. Fish in weight in 18 kg has been caught. Local fisherman has caught it in a river mouth . It is a pity that such beauty has been caught not on a fly. Local residents in general seldom use afly as a bait for fish. Usually they use a spinning or networks in the sea on the resolved distance from a river mouth. But in the north there are also other ways of fishing of a salmon. 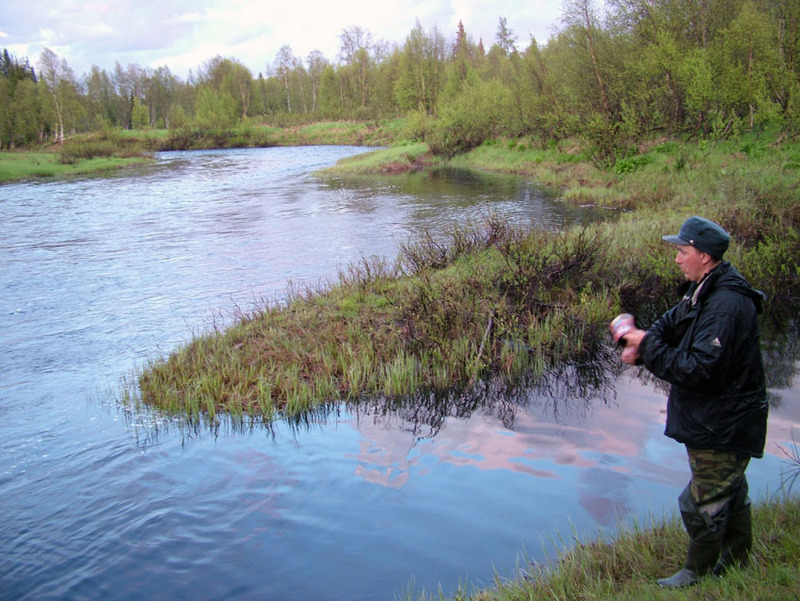 Allow me to tell about one amusing way of fishing of a salmon. My cousin who has come back from a trip on the White sea, to the Arkhangelsk region (Russia) has told to me about it Russia. In these deaf places Local residents do not fish on a fly, spinn lure is a problem too. Here always caught a salmon on a worm, threw a sinker and held a nylon in a hand. But technical progress knows no limit. 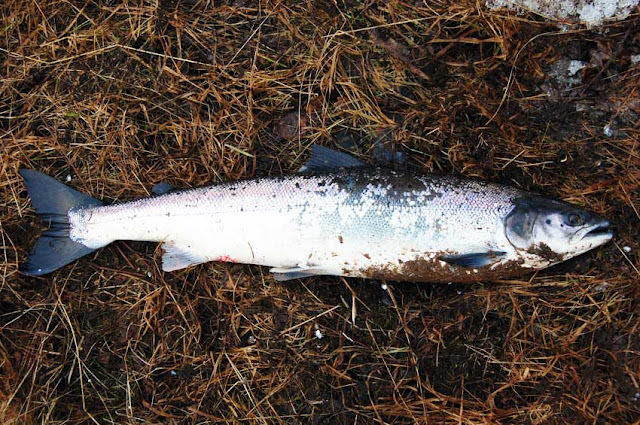 The novelty of last years consists in fishing of a salmon that the hook with worms is located now in a condom. 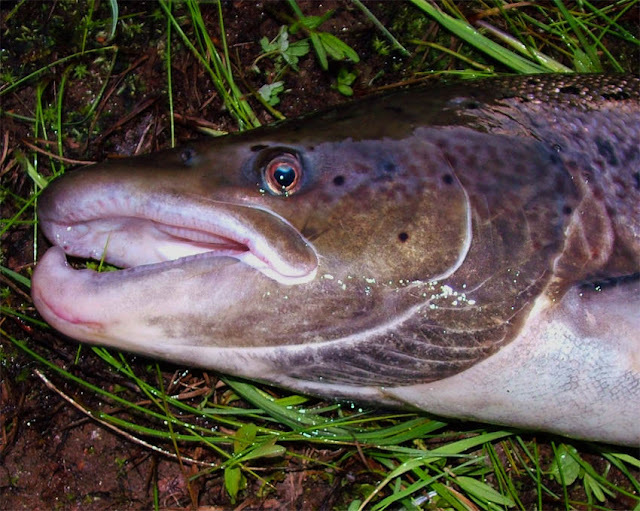 Such vibrating bait on fast waters provokes a salmon on attack. Remains not clear, what role is played now by worm? Whether it is necessary to save and watch tightness of a condom? How often it is necessary for changing? In a photo the local resident who throws a bait. He uses an ordinary can as spinning reel. The nylon easily comes off it at cast. The fisher keeps a bait on a current, and then, retreive a bait, reeling up nylon on bank.